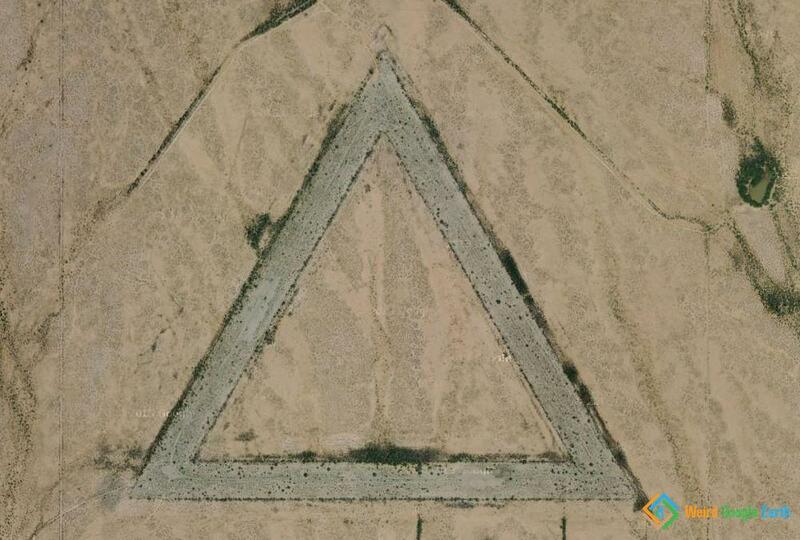 This triangle just off Phoenix does not look like a bomb target at all. It’s an auxiliary air field for Luke AFB, first used during WWII for pilots to practice flying from. It’s now used for nothing but landing approaches by F-16’s; aircraft don’t actually touch down here now, they just practice coming in for landings.